In a statement emailed to media on Friday, October 21, the CPP said China may have once been a modern socialist country (1949 to 1976), but today, it is one of the biggest capitalist countries. 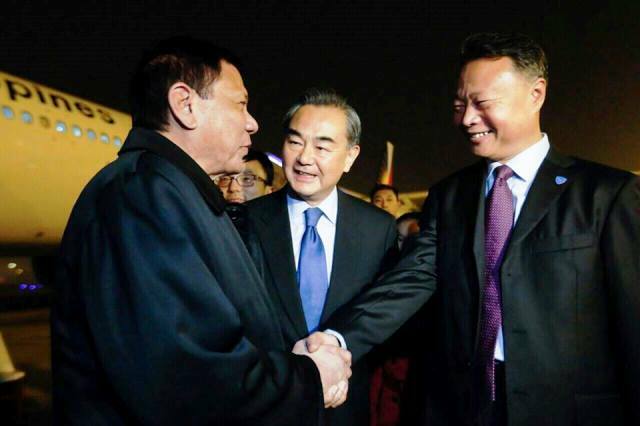 The CPP cautioned President Duterte to take heed that China has its imperialist self-interest in befriending the Philippines. But, at the same time, unlike the US which has long closed the door to opportunities for positive development in Philippine economy, with China, the CPP sees opportunities for positive changes in Philippine economy and people’s livelihood. That is, if the Duterte administration forges a patriotic alliance with the Filipino people’s national democratic struggle. “In the name of unity with the Filipino people against US imperialism, China must be called upon to allot a substantial amount of investments to support national industrialization and genuine land reform to get the local economy to stand on its own feet,” the CPP said. They urged Duterte to ensure this, knowing that like US, China is currently confronting a capitalist crisis in finance and over production. “It seeks areas to dump its surplus goods and bigger sources of cheap labor-power and raw materials to run its so-called Factory Asia – the network of tightly linked factories in different countries that engage in semi-processing,” the CPP said about China. To prevent a repeat of US-dictated stunting of the Philippine economy, CPP urged the Duterte administration to insist that China’s investments in export-oriented production should have a counterpart investment or assistance to more basic industries needed by the country. They suggested that as a friendly overture, China has to stop its exclusive claims of the fishing area around Bajo de Masinloc. It urged also for China to support the clamor for demilitarization of the South China Sea. Several billion dollars of investments and loans from China are bound to build factories and plantations that are geared to supply the factories and market of China, the CPP said. 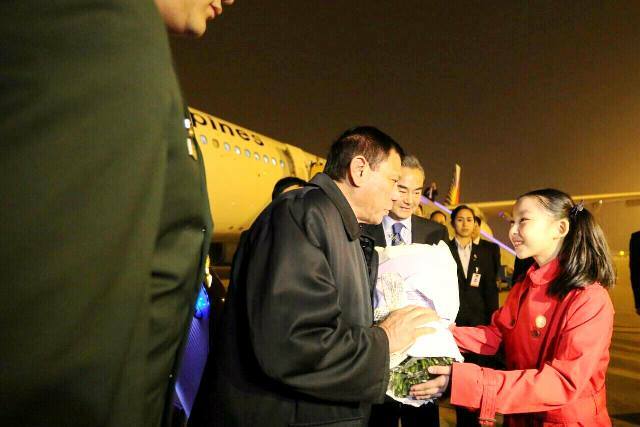 President Duterte has been busy inviting foreign investments here, particularly those from state-private firms of China who has a corresponding plan of building infrastructure for production and transportation. To ensure these will not turn into a Chinese copy of US-style development aggression, the CPP urged Filipinos to insist that the people are not completely disadvantaged and that Duterte would see to it that such policies will have a corresponding policy of protecting national interests. Toward that, the revolutionary group urged the Filipino people to insist that establishing steel and other basic industries is given priority. “A portion of investments must be allotted to basic industries and that there should be technology transfer,” the CPP said. It added that there must also be a clear-cut policy for protecting the environment and the national patrimony. The CPP urged the people to challenge Duterte to protect the interests of the working class against very low wages and to repudiate the policy of privatization and commercialization of public services every time he invited foreign investments such as those from China. “Duterte must train principal attention to distributing land to peasant tillers as a means of correcting a historic injustice, and to pave the way for modernization of local agriculture geared towards the production of food and other needs for local processing,” the CPP said. Knowing that China is planning to build (or expand) large plantations for export crops, the CPP also urged the Filipinos to prohibit this, saying it contravenes the interests of the peasant masses and the minority peoples, and that it is also destructive to the environment. The CPP said China can indeed build a long-lasting friendship with the Filipino people if it will support genuine land reform and the establishment of various basic industries. It said this will be comparable to the effort of the US and Japan in supporting land reform and building basic industries in Taiwan (from the 1950s) and South Korea (from the 1960s), but with a twist. US and Japan had aimed to turn Taiwan and Korea into capitalist bases in their competition, at the time, with anti-imperialist movements and rising socialism in China and North Korea. In the case of PH and China, they are being brought together by common interests to look out for their welfare against the waning US hegemon’s efforts to latch on to Asia and shore itself up. But against this, “US imperialism is closely watching the forging of China-Philippine friendship under Duterte,” the CPP said. It said US agents in the AFP and other state agencies are mobilizing to prepare for measures to prevent the strategic weakening of US control and influence in the Philippines. The revolutionary group advised Duterte to also seek to weaken US imperialist influence and control of the AFP, which, they said, has been dependent on US military aid. They urged Duterte to reject the long-held policy of previous US puppets of suppressing PH’s anti-imperialist, progressive and revolutionary forces.